Georgetown Mayor Patricia Chase-Green was yesterday upbraided by retired judge Cecil Kennard over her handling of a key no-confidence motion earlier this year against embattled Town Clerk Royston King. 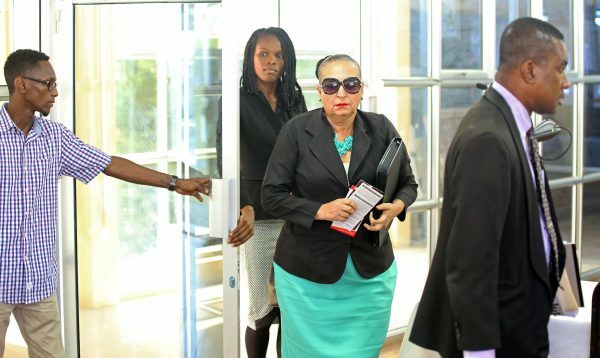 Summoned to respond to five issues raised over the last few weeks of hearings, Chase-Green appeared at the Critchlow Labour College with a written response and legal representatives Lyndon Amsterdam and Latoya Roberts. Her testimony was delayed for 30 minutes to allow for copies of her written response to be provided to the Commission after which the Mayor was questioned about her handling of a no-confidence motion brought against King in March. Lawyer for the Commission Everton Singh-Lammy sought to have Chase-Green accept responsibility for the council vote, which disallowed the hearing of the motion brought by former Deputy Mayors Sherod Duncan and Lionel Jaikaran, both of the AFC. At this point, the Mayor attempted to respond using the analogy that even though she was Captain she could not wildly sail into a storm. “If you are seeing a storm ahead of you and all your sailors are saying you can’t go into the storm, will you still continue to go into the storm?” she asked. During the Mayor’s more than one-hour-long testimony, Kennard repeatedly presented the opinion that Chase-Green had erred by allowing King to present to council a legal opinion he had secured from his personal lawyer. In fact, Kennard maintained that King should’ve either recused himself or been made to recuse himself from presiding over the matter. Officer during that March 11th meeting. 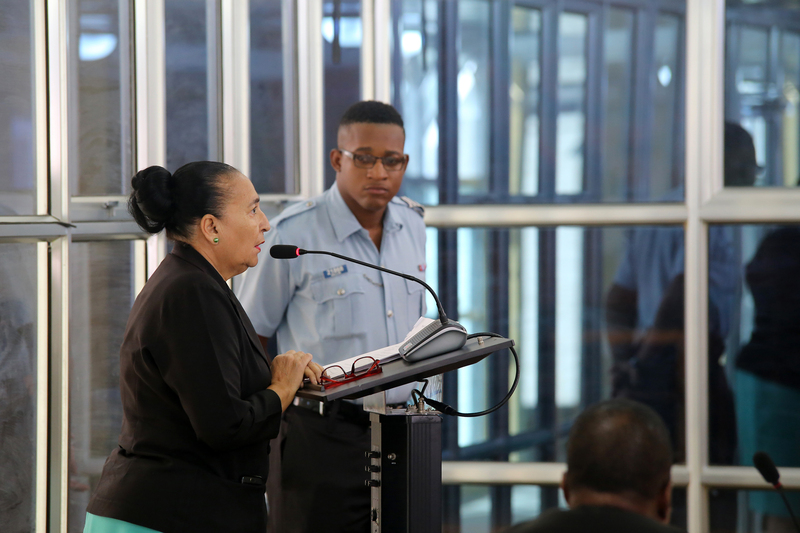 In her defence, Chase-Green attempted to refer to the Sixth Schedule of the Municipal and District Councils Act, which gives the Town Clerk the power to convene all meetings and prepare all agendas, minutes and reports. She also sought to defend his procurement of legal advice by noting that under the same provision he is empowered to give council general advice on all matters where his advice is necessary, including Standing Orders and by-laws as well as offer legal advice. The provision, however, specifies that he can only give legal advice where “legally qualified to do so.” It further specifies that he may nominate someone to attend a meeting in his stead. Kennard maintained that in this case the Deputy Town Clerk should’ve been called upon to attend instead of King. 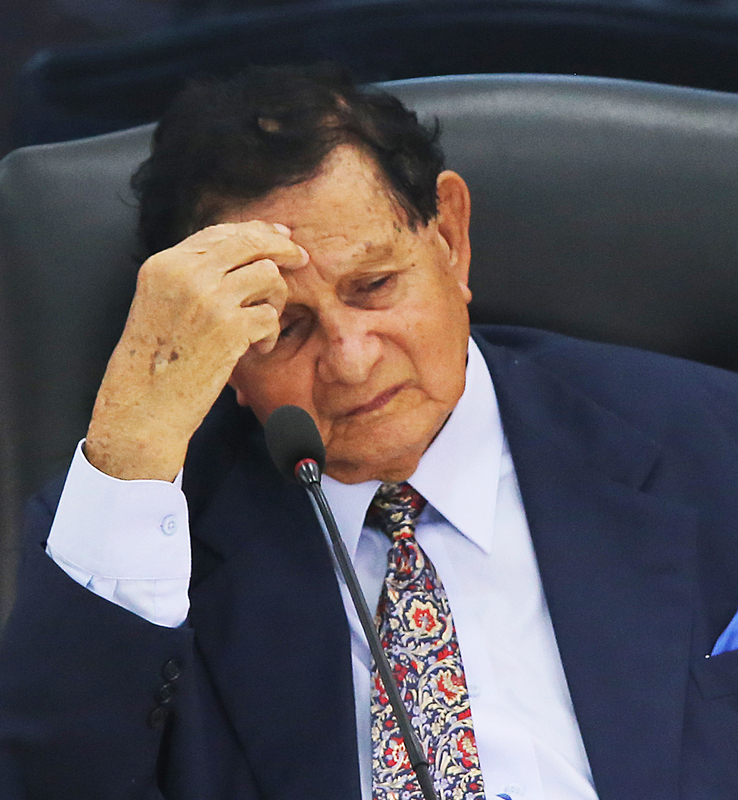 Kennard stressed that Chase-Green as Chairman of the meeting should’ve sought the advice of another lawyer, such as Roger Yearwood who had been retained by council to argue several other cases on their behalf. Chase-Green had already testified that former magistrate Maxwell Edwards, from whom King had secured advice, was not a regular lawyer for council but rather King’s personal lawyer. Duncan had also indicated at the time that Edwards is the husband of a sitting APNU councillor. At this point, the Mayor’s counsel, Amsterdam, argued that the advice should be viewed on its legal merit rather than its source. “I don’t think advice should be deemed improper simply because of who sourced it. We should examine whether the advice was bad in law,” he stressed. He further attempted to argue that the Mayor was merely a figurehead, while the Town Clerk has more power to act. He also claimed that Chase-Green was being asked to account for a collective decision. “It was not a decision of the Mayor, it was a decision of council,” he noted. “The matter is at the end of the day the council voted on incorrectly sourced legal advice. She should’ve sought another opinion on the matter,” he maintained, saying it was his preliminary finding on the issue. Kennard also took umbrage at the Mayor’s statement that she would not be available to continue her testimony on Monday after Singh-Lammy requested a continuance. “You got to try and make yourself available. Whatever date is fixed is fixed,” Kennard declared, while Chase-Green explained that she would not appear without her lawyer. Following this declaration the three lawyers present referred to their diaries and settled on Wednesday October 31st as a date for the Mayor’s next appearance. Town Clerk Royston King is scheduled to appear on Monday.